The methodology to analyze and manage complex systems is presented here. 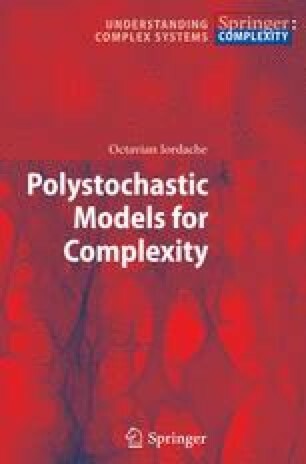 The polystochastic models, PSMs, are the considered mathematical tools. PSMs characterize systems emerging when several stochastic processes occurring at different conditioning levels, are capable to interact with each other, resulting in qualitatively new processes and systems. The modeling hierarchy, which is modeling at several abstraction levels, appears as deep-rooted in the higher categories frames. Models of models, that is, meta-models allowing studying processes of processes, and so on, are presented with case studies from informational systems and statistical methodologies. Innovative is the introduction of a partial differential model for multiple levels modeling. This imposes making use of unconventional notions of time, space, probabilities and informational entropy.